I have provided solutions to 233 companies and organisations in the UK, Ireland and Australia since 1990. Here are some of the more recent ones in Australia. Australian Medical Association Since April 2006 I have maintained and developed several of the Western Australian branch of the AMA’s SQL Server databases. They are my 2nd best customer of all time. I built two databases for Aboriginal Legal Service WA Ltd. One is a members database and the other is a contact logging system. Foster Care Association I imported highly unstructured data from SharePoint (eugh!) into a proper call log relational database along with tools to clean the data. I then extended it into a standard membership database for the WA branch of the Foster Care Association. Jandakot Airport Since March 2012 I have been developing and maintaining the Jandakot Airport databases. I standardised the user interface of their access databases and then upsized them all to SQL Server. ATI-Mirage I started giving training courses for ATI-Mirage in April 2010. Since then I’ve given over 130 courses for them, mainly on Excel, Access and Project. In 2009 I started work on a database for Adoption Jigsaw, a charity that help put adoptees in touch with their real parents and vice versa. As you might imagine, it contains quite complex search algorithms. In 2016 I built a membership database for the Department of Health (WA). It includes some smart merging techniques to e-mail members and import data from SurveyMonkey. For over three years, from September 2004 until January 2008, I was employed as a part-time database adminstrator/developer at Perth Airport. This involved building and maintaining various Microsoft Access front-end databases to a SQL Server back-end. And here are some of the not so recent ones that I have done most work for over the years. It’s amazing to think that even 20 years after I last did any work for the British Council, they still remain my No 1 customer. Almost from the start as a self-employed contractor they used me as a trainer and database developer. Almost of this work was in London. One of my first regular jobs in Australia was to give Access and Excel courses for the software training company New Horizons. In fact if one subtracts the date of the first invoice from the last, I’ve worked for them longer than anyone else – over 14 and a half years. They changed their name to TrainSmart a few years ago and no longer do the Microsoft classroom training I used to do with them. My 7th best customer of all time is still currently Microsoft. From March 1993 until August 1996 I did 56 pieces of work training SQL Server, Access and FoxPro. I also wrote course materials for the later two database products. 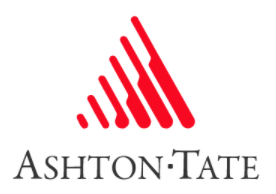 My big break was to join the PC database company Ashton Tate as a SQL Server and dBase IV trainer in 1988. After a restructuring, they kindly gave me the opportunity to go self-employed whilst semi-guaranteeing regular training work with them for six months. This is the perfect way to become an independent consultant and the work they gave me for the two years after starting up Customised Training Solution (the name of my business in the UK) is still 8th best on my all time list. Having learned Ashton Tate/Microsoft’s version of SQL Server on the PC platform, it was a logical step to work for the company that designed the database in the first place. I gave the first of 29 courses for Sybase UK in Wokingham in August 1990 and my last about two years later. Whilst working for them I had to learn a bit of UNIX and its lovely, friendly commands such as grep and awk and ls. One of the databases I built which I am most proud of was a competency management system built for FMG (Fortescue Metals Group). From June 2009 until September 2010 I took their original system (a single Microsoft Excel workbook with a matrix of staff, competencies and hyperlinks to scanned certificates) into a proper relational database (in Access) and then upsized it to SQL Server. “CrewMaster”, as it was called, included a nightly job that automatically reminded people when they were due to renew a competency that was about to go out of date. I also regularly gave training courses for some companies in the UK and Australia that no longer operate. Notably, AZLAN, was one of Microsoft’s leading Training Providers for years. I gave 64, mainly SQL Server, courses for them from 1993 until 2001. In Australia I gave courses for Sigma training, Alphawest and Mobile Mouse.